This bedroom. OMG. Just found the perfect bedroom to spend the weekend in. To spend the whole summer perhaps? Wouldn't mind that at all. 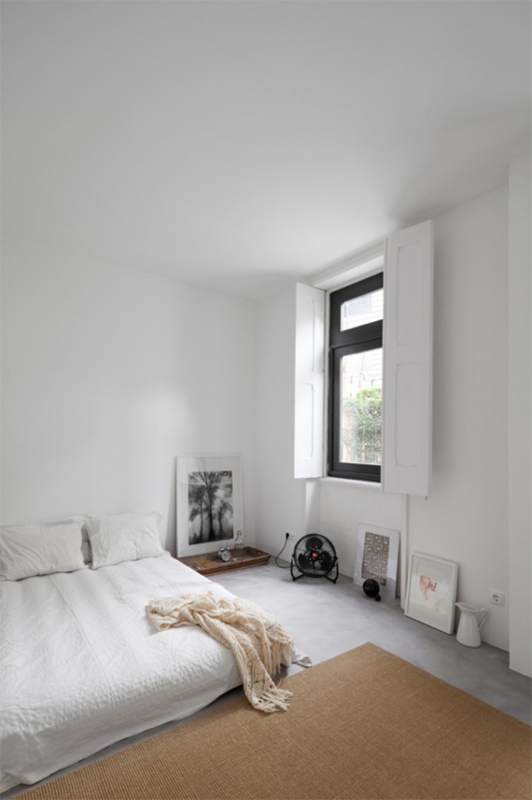 The all low-level design with the bed on the floor feels so fresh and cozy, the color palette is exactly my cup of tea and the natural textiles bring a touch of warmth to the stark concrete floor. 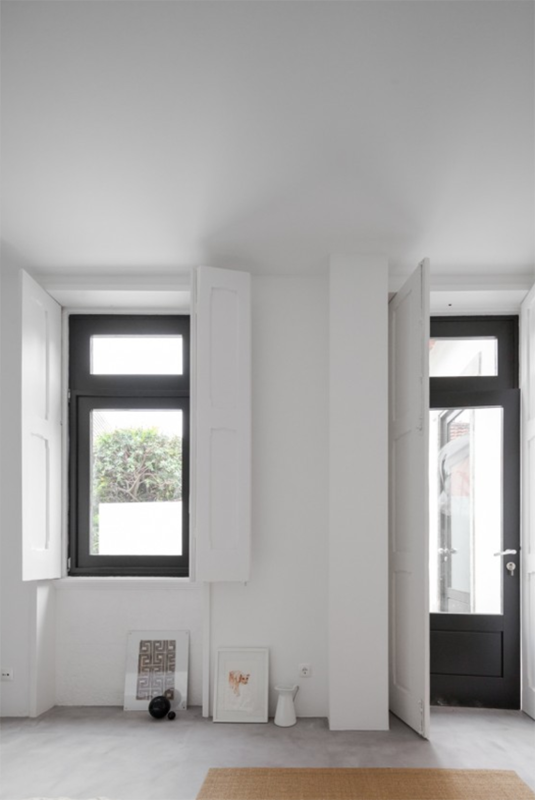 Actually, the whole house, designed by URBAstudios, is an exquisite example of minimalistic casual design worth a few moments of your time. Enjoy! 4 comments on "Outstanding bedroom with bed on floor"
Καποια εποχη το κρεβατι μου ηταν ενα στρωμα στο πατωμα... μεχρι που μου ειπαν οτι ειναι κακο φενγκ σούι και το ανεβασα σε ξυλινη βαση χαχα! The place definitely looks cozy to live in, I love the atmosphere!